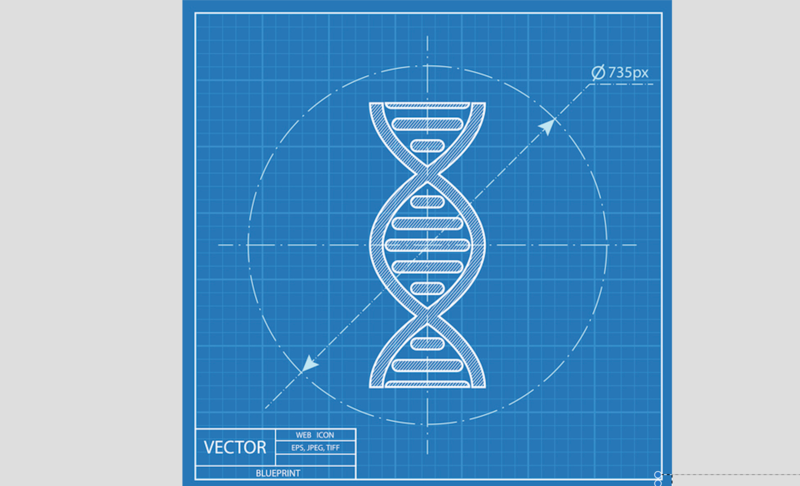 Dr Naomi Fisher on behavioural genetics and psychology in debates over our 'blueprints'. Autumn 2018, and American psychologist and geneticist Robert Plomin’s new book Blueprint: How DNA Makes Us Who We Are exploded onto the scene, to headlines of 'Parents Matter But they Don’t Make a Difference', 'How DNA Dictates Who We Are', and 'So is it Nature not Nurture After All?'. Press coverage has come down mostly on the side of genetic causality, accepting Plomin’s case that DNA is the major systematic force which makes us who we are, and that the environmental events which make a difference are random and unpredictable. Reading Plomin’s book as an applied psychologist, there is a sense of perhaps defensive disbelief… so much of what he writes runs counter to accepted psychological perspectives. Parenting and nurturing don’t 'make a difference'? Crucial environmental events in our lives are down to chance? This challenges the very core of psychology, and yet, as most of us are not behavioural geneticists, assessing the validity of these claims – or even understanding what they are based on – isn’t straightforward. How Does DNA Make Us Who We Are? Plomin’s book is a compelling story of the evolving field of behavioural genetics. It's a journey from the adoption studies of the 1970s – where, due to the system of mother and baby homes in the US, Plomin was able to assess pregnant mothers and then follow their babies as they grew up with adoptive families – through the twin studies of the 1990s and early 2000’s, onto the mapping of the human genome and the subsequent massive Genome-Wide Association studies, enabling researchers to carry out genetically sensitive studies without twin and adoption designs. We read of the early days of looking for ‘candidate genes’, through to the realisation that for the vast majority of behavioural traits, multiple genes work in combination with each making only a tiny contribution. The days of looking for the ‘gene for autism’ are over, researchers are now calculating ‘polygenic risk scores’ – predictive scores made up of thousands of genetic markers. Plomin suggests that genetic research is transforming how we understand not just the genome, but the environment too. He argues that much of what we think of as environmental – and therefore independent of the genome – is in fact heritable. Life events, for example: twin studies suggest that 30 per cent of the variance is accounted for by genetic differences. So individuals (and their genes) are active players in creating their environment. A calm and contented baby gets different parenting to a colicky one, a sociable child is likely to have more friends (and therefore interactions) to one who prefers to play alone. This implies that no association between an environmental measure and later outcomes can be assumed to be causal, unless genes have been accounted for. Parents who frequently read to their children could be responding to a genetic predisposition in their children which means that as young children they like to be read to, and as older children they like to read. We might assume that it is the parental behaviour which creates the love of reading – but that behaviour is in itself influenced by the child, and their genes. All human behavioural traits are heritable. This is often hard for psychologists to accept, but is uncontroversial in the world of behavioural genetics – so much so that Eric Turkheimer called it the First Law of Behaviour Genetics back in 2000. Studies have found, for example, that marital status and amount of TV watched are heritable. Parenting style and social economic status are counted as shared environmental factors. If they don’t make a difference to what we become, then what does? Plomin’s answer is chance or random events – but this feels unsatisfactory for many psychologists. Why would our brain respond differently (and in a more permanent way) to chance events than to many hours of nurture? How could this actually work? What do Polygenic Scores actually tell us? Polygenic scores in themselves do not give us any information about how the genotype becomes the phenotype. They are simply numbers with predictive power. When I asked, Plomin said that it was unlikely we would ever understand the mechanisms. He sees this as the power of polygenic scores: that they can predict psychological and behavioural traits despite an absence of understanding how this works. Do childhood experiences make a difference? A few months before Plomin’s book was published, clinical psychologist Lucy Maddox's book Blueprint: How Our Childhood Makes Us Who We Are came out. The matching titles are coincidence, the single word difference intriguing. Maddox’s book is an accessible ride through the child development literature, taking in Piaget, attachment and classic experimental paradigms such as false belief tasks and infant habituation studies. She doesn’t mention polygenic scores or behavioural genetics at all, although there is a chapter on epigenetics. When we talked, I asked her what she thinks of Plomin’s book. Maddox herself works with foster parents who are caring for children who have experienced abuse and neglect, and so has direct experience of trying to intervene so that parenting can ‘make a difference’. She says that Plomin makes caveats which she felt were not small at all. It’s true that the behaviour genetic studies limit the range of environmental variation by excluding these children who are severely abused or neglected – and also because they have all been carried out in Western Europe or America. They can tell us nothing about the effects of the shared environment of culture. Is a child adopted from Korea to America also essentially the same person when they grow up, as similar to an identical twin left in Korea as they would have been if they had been raised in the same home? As Plomin says, these studies describe what is, not what could be – and they describe ‘what is’ within a sample whose environmental variation is limited. Genes and environment, here we go again? The difference with Plomin is that whilst Scarr sees the genotype as driving development, she did not think that this means that the important environmental factors are random or chance. She did, however, see that environment can never be independent of the genotype, because, as she puts it, 'Genes are components in a system that organises the organism to experience its world'. It’s striking how, despite the arrival of polygenic scores and genome-wide association studies on the scene, we are still thinking about gene-environmental interactions in a similar way. Polygenic scores haven’t shifted the debate as much as you might think. When doing the research for this article, I came across Eric Turkheimer’s blog, in which he discusses (and disputes) some of Plomin’s conclusions. Turkheimer is the Hugh Scott Hamilton Professor of Psychology at the University of Virginia and a clinical psychologist. He is also a behaviour geneticist. When we talked over Skype, Turkheimer was keen to point out that he doesn’t have a problem with polygenic scores, which he describes as an interesting new tool for research. He does, however, disagree with Plomin about their significance. The difference he is referring to is that we can measure the genome at any time, calculate a polygenic score made up of thousands of genetic markers, and make predictions with that even though we have no idea what any of the genes are doing. This is simply not possible with the environment – it is inherently dynamic and hard to measure systematically. As such, environmental risk scores are less quantifiable. It’s a compelling argument. If our genes act on our environment, then many of the pathways for gene expression are going to be environmental. And if we don’t understand those pathways, how can we intervene? And here could be the fundamental challenge of Plomin’s book for psychologists. Just how do we understand who we are, and can that ever be separated from our personal experiences? When a psychologist meets an individual, standardised measures are only a small part of the picture. It’s hard to see how a polygenic score would significantly add to the depth of information we get when assessing and taking a history. There are practical implications of gene-environment interactions, which are sometimes overlooked. The same environment is experienced differently by different people, and thus our attempts to change things through changing the environment will be affected by the genes of the individuals involved. This doesn’t however, mean that we can’t deliberately change the environment, and that the experience of the other person won’t also change – it just means that we cannot usually predict how that will affect them. So in this way, parenting could make a difference, but we can’t predict exactly what difference it will make. Geneticists and psychologists have at different times been accused of determinism about human development, and all deny the charges. Perhaps the word Blueprint is in itself misleading, as it implies (at least in the popular imagination) that we are planned out in advance. The truth is that our genome affects how we experience and interact with our environment on every level – but that without a complex environment, our genes have reduced potential to influence and shape our world. Thus our genes and environment interact in myriad ways, and through building an awareness of how these interactions work we may come to understand ourselves just slightly better. Plomin, R. (2018). Blueprint: How DNA Makes Us Who We Are. Allen Lane. Maddox, L. (2018). Blueprint: How Our Childhood Makes Us Who We Are. Little Brown. Scarr, S., & McCartney, K. (1983). How People Make Their Own Environments: A Theory of Genotype – Environment Effects. Child Development 54(2), 424-435. Freese, J. & Jao, Y-H. (2017). Shared Environment Estimates for Educational Attainment: A Puzzle and Possible Solutions. Journal of Personality, 85, 79-89. Plomin, R. (2018). In the Nature–Nurture War, Nature Wins. Scientific American. Kaufman, S.B. (2018). In the Nature-Nurture War, Robert Plomin is fighting a losing battle. Scientific American.